“And those who have insight shall shine like the brightness of the expanse, and those who lead many to righteousness like the stars forever and ever." 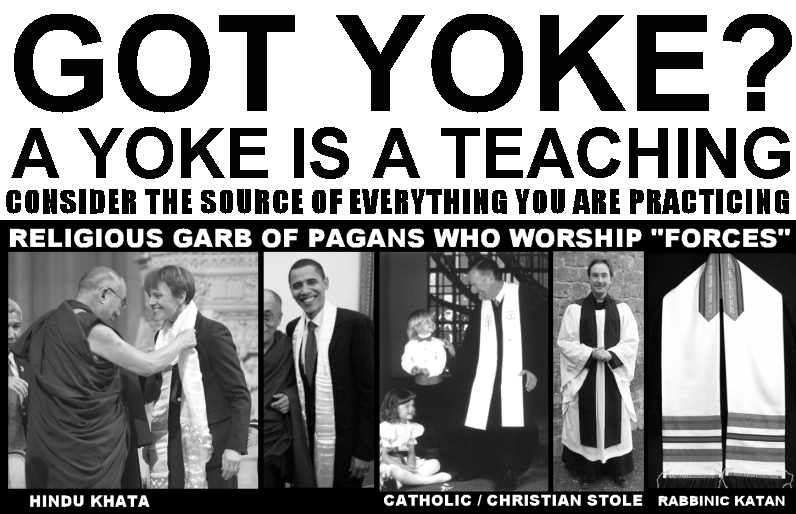 A yoke is a body of teachings. Natsarim accept only Yahusha as our teaching authority. Test the spirit behind every word you hear. If that word does not align perfectly with the opinion of Yahuah expressed in the Scriptures of Truth, that spirit is not of Him. Seeking the reign / will of Yahuah as the highest goal for everything will always be the best eternal decision. Spirituality is being possessed by the Mind of Yahusha, or another spirit. Be careful how you listen. That "Hebrew" from the sect of the Natsarim was certainly aware of YirmeYahu 31:6. In the last days, during the Great Distress, we will have a literal glow about us when the sun darkens and the moon glows blood-red. People will be howling in all the lands. The powers (authorities) of the heavens will be shaken, because there will be a changing-of-the-guard taking place, referred to as birth pangs. The powers currently having sovereignty over the Earth will be shaken from their moorings when the children of Yahuah are revealed -- the universe groans in expectation of our birth. We have been begotten from above, but our actual birth will occur at the return of our Creator, Yahusha ha'Mashiak, after the distress of those days (Mt. 24:29-31). We were given the commission to teach all nations to obey all that we were commanded to obey. We occupy our post, protecting that we were commissioned to cherish. The thing we guard is not only discarded as rubbish by most, but it is the reason we are so despised. The term for us is commonly misspelled "Nazarenes" (NATSARIM). 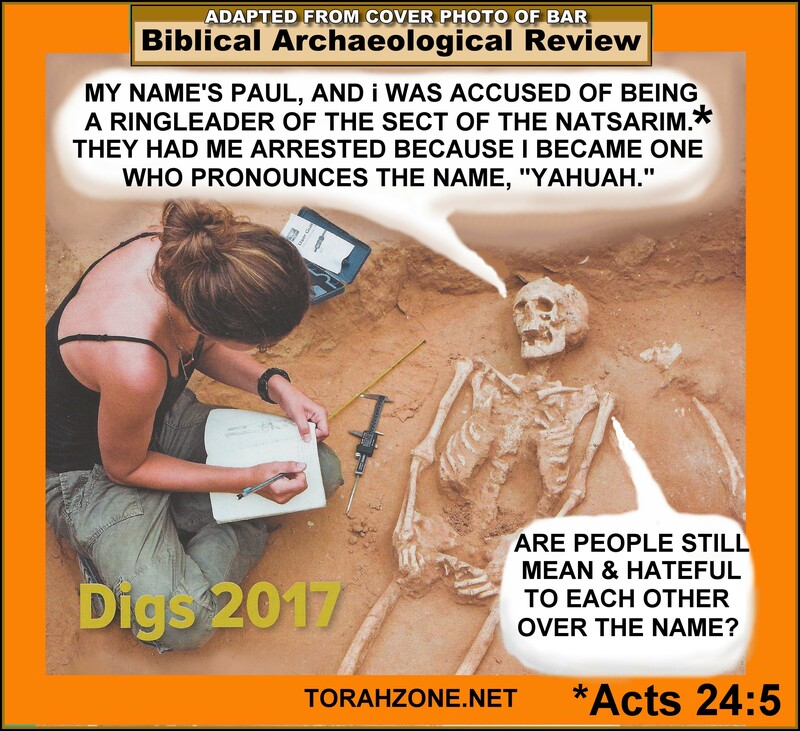 We are a sect named after the original followers of Yahusha of Natsarith (see Act 24:5). Yahusha chose certain people over the centuries, and circumcised their hearts (minds, thoughts) with a love for His Torah, which is a renewal of His Covenant through belief in His shed blood. By accepting the offering of Himself for the remission of our crimes, our hearts (minds, thoughts) are sprinkled and redeemed completely, once for all. We are guardians, and Natsarim literally translates as watchmen, guardians, protectors; it also means branches, as in off-spring or descendants. The idea of branches being off-spring or descendants indicates that we are continuing contact with the ROOT, so we live in the teachings that provide the nourishing life the ROOT provides. 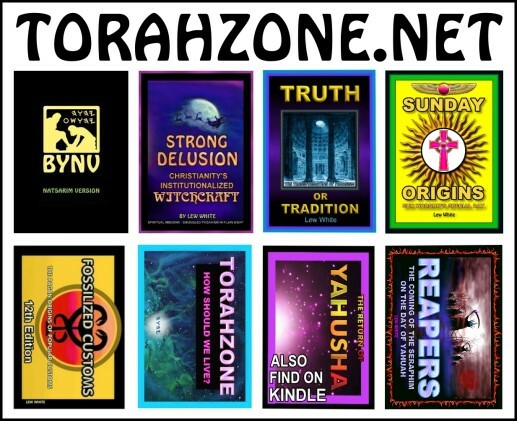 That life is Torah, the Covenant, which Yahusha ha'Mashiak brings to us, since He is the Living Word made in human form. His presence within us enables us to walk in the Spirit (breath), having His perspective instead of that of our earthy mindset. Our earthy mindset does not submit to His Torah, nor can it. We are referred to as first-fruits having been sealed with the Father's Name (Yahuah) in our foreheads. Our obedience is evidence of our belief. Gentiles are grafted into the commonwealth of Israel (Yisharal) through the Covenant (Eph 2:8-13). Our obedience perfects our belief, given to us by the indwelling Ruach of Yahusha. Yahuah's Name, and Yahuah's Word (His Covenant with Israel). "obey the Commandments of Alahim AND hold to the Testimony of Yahusha." We have been pursued by the dragon from the beginning. The Catechetical School of Alexandria, Egypt and the “church fathers” who were trained and taught there, developed what ultimately became Christianity, and later Roman Universalism, Catholicism. What these early church fathers of Alexandria wrote about a certain “sect”, the Natsarim, may be of interest to those who want to trace back to the roots of their beliefs. Many of these early Christians were former sun-worshippers that adopted a belief in the Mashiak (Messiah) of Yisharal, Yahusha. (see etymology of word cretin). They worked predominantly with Greek texts, yet from reading their Greek letters, we quickly discern that they despised the Natsarim, whose existence seemed to threaten their teachings. One of these church fathers’ indicated that these Natsarim possessed the writings of MatithYahu (Matthew), and stated that they were in Hebrew letters, as they had been originally written. These facts, and more to follow, clearly contradict what many people today have been led to believe about the original followers of Yahusha. Due to the church fathers, the Hebrew/Israelite roots of the faith were suppressed, and only the Greek roots were developed. The 2 most uniform traits among all the church fathers was their condemnation of the Natsarim, and their rabid anti-Semitism. ORIGEN OF ALEXANDRIA TAUGHT AT THE CATECHETICAL SCHOOL OF ALEXANDRIA. HE SUCCEEDED CLEMENT AS HEAD OF THE SCHOOL. SELF-CASTRATED, AND A VEGETARIAN LIKE CLEMENT, ORIGEN LIVED FROM 185 TO 254 CE. 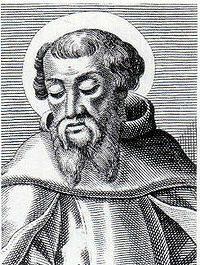 TERTULLIAN & IRENAEUS WERE CONTEMPORARIES OF ORIGEN. BEING CLASSICALLY EDUCATED IN PAGANSIM, MUCH ERROR WAS ADOPTED. "And we think it right to hear from you what you think, for indeed, concerning this sect, we know that it is spoken against everywhere." (ACT 28:22). 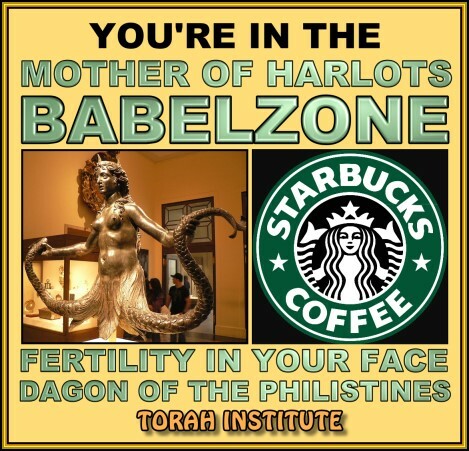 The dragon is enraged at the woman, Yisharal, and fights against a remnant of her seed (off-spring of those who obey the Covenant), who guard (shamar) the Covenant, and possess belief in Yahusha. Obeying the Commandments, and possessing the witness of Yahusha, are not what the church fathers did, and they weren’t going to stand for anyone else doing so either. 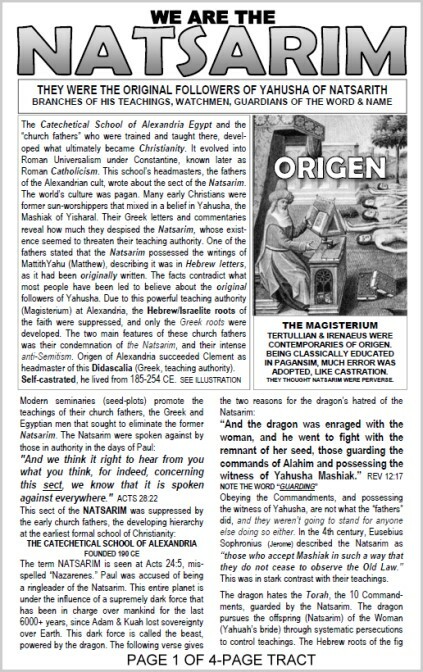 The 4th century church father, Jerome (SPEAKING AS A DRAGON), described the Natsarim as “those who accept Messiah in such a way that they do not cease to observe the Old Law.” This was in stark contrast with them! That “Old Law” is the Torah, the 10 Commandments, guarded by the Natsarim. The dragon (Rev 12) pursues the offspring (Natsarim) of the Woman (Israel) through systematic persecutions because of doctrinal competition and control. The Hebrew roots of the fig tree (Israel) remain a threat to this dragon’s bad tree, but Yahusha has given His Natsarim His Torah, and this is the axe (Sword, His Word) that will become the downfall of the false system (Roman beast) ridden by the Great Prostitute, which has made the nations drunk from the golden cup of abominations (like sacraments) she holds them in her control with. Worldwide, there are about 1 billion people living (producing bad fruit) according to the doctrinal errors (a bad tree) of a few men called the church fathers. These men molded the patterns of early Christianity, and in their own words declare they were not Natsarim, but rather suppressed the Natsarim as heretics and accused them of perversion for obeying the Commandments. These church fathers were men who failed to adopt the Covenant, but instead pursued control over doctrines as they interpreted them. Some castrated themselves and others, became monks, took vows of poverty, celibacy, silence, and condemned the Natsarim for holding to the Torah while professing belief in Yahusha. False doctrine is like leaven, and their false doctrines have filled the whole Earth (the whole lump of dough). Those whose thinking has been affected by the false doctrines of these early apostates view the Natsarim today as heretics also, and it is the same spirit of error that possessed the church fathers that is at the root of the bad tree, producing bad fruit. The good fruit is the obedience of the set-apart ones, because obeying the Covenant produces love, joy, peace, patience, kindness, goodness, faithfulness, gentleness, and self-control; this tree will not be cut down! The tree that is against the Covenant (lawless) will be eliminated, and be left with neither root nor branch (offspring). Condemnation is derived from ones’ own words; so let’s see what the early church fathers had to say concerning Natsarim. IRENAEUS was a mid-2nd century church father, and was perhaps the least error-ridden of all, but the few errors he made were magnified by others after him. He held that the bishops provided the only safe guide to interpretation of Scripture, laying a pathway toward papal primacy. Also, in his battle against Gnosticism, and in the interest of unity, doctrinal authority had to be solely established by Episcopal councils. Episcopal means governed by bishops; so we can see that these ideas laid a foundation for later Nicolaitanes and a hierarchical chain of command, culminating in the fascism known as the Roman Catholic Church. Catholic means universal in Latin, so Irenaeus’ vision for unity of doctrine became a reality; if only the doctrines mandated had been based on the TORAH of Yahuah, rather than men’s lust for power. MONKS, NUNS, POPES, SACRAMENTS, HOLY WATER, HALOES, BELLS, STEEPLES, CATECHISMS, ALTARS, SPIRES, PULPITS, CATHEDRALS, STATUES, SUN-DAY, EASTER, CHRISTMAS, CANONIZING SAINTS, INDULGENCES, SCAPULARS, MASSES, — AND NO ONE NOTICED THESE BEING ADDED TO SCRIPTURE, OR THEIR TRUE ORIGINS? The teachings hatched at the Catechetical School of Alexandria persist in every modern “Seminary” today. The apostasy (falling-away from Torah) became institutionalized, and men’s traditions were set up to conceal their former Pagan origins. 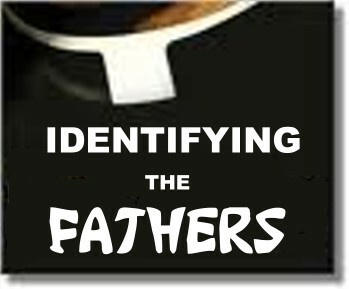 DOCTRINAL DESCENDANTS OF CHURCH FATHERS CLAIM TITLE, "FATHER"
For centuries after the resurrection of Yahusha, false teachers arose to draw away disciples after themselves, just as Shaul predicted would occur (Acts 20). Today we look back and call these men the “church fathers.” Augustine, Tertullian, Jerome, Epiphanius, and a dozen others guided the doctrines, and a great “falling-away” occurred through these “elders” (bishops, overseers). Yahuah tells us not to learn the ways of the heathen, nor serve Him in their way Dt. 12:30-32. Yahusha told us "Man does not live by bread only, but by EVERY WORD that proceeds from the mouth of Yahuah." We revise the Paganism, and do it anyway; EGGS, RABBITS, TREES, STEEPLES, STATUES, WATER, WREATHS, EASTER, CHRISTMAS, SUN-DAY, MONKS, and more. He tells us to rest on the 7th day, so we rest on the 1st day and work on the 7th. He tells us what we may eat; we tell Him we’re going to eat everything we want to eat. He tells us to observe specific appointed times, so we use our own reasoning, mostly based on formerly Pagan observances we've adapted to fit what we want them to mean. We follow men who scorned the Natsarim, and wanted nothing in common with the Yahudim, admitted to by their own words. Yahuah’s clean festivals reflect the redemption plan for Israel, but were forsaken (Dan 7:25). All the nations of the Earth are invited to “engraft” into the commonwealth of Israel through the Covenant (Eph. 2:8-13), but the “spin” put upon obeying the Covenant is very deceptive (calling it legalism). If we are “legal” then we are true citizens of Israel; if we are practicing lawlessness (illegalism), we are imposters, and usurping what is not ours to claim. We cannot simultaneously claim to be Yahusha’s followers and not obey Torah. If we claim to know Him, then we obey the Commandments (1 Yn. 3). 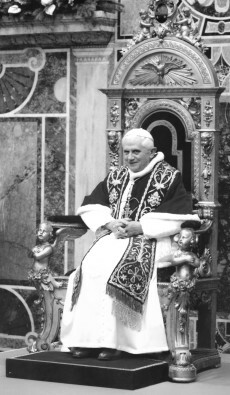 “We shall now especially consider heretics who.. call themselves Nazarenes; they are mainly Jews and nothing else. They make use not only of the New Testament, but they also use in a way the Old Testament of the Jews; for they do not forbid the books of the Law, the Prophets, and the Writings... so that they are approved of by the Jews, from whom the Nazarenes do not differ in anything, and they profess all the dogmas pertaining to the prescriptions of the Law and to the customs of the Jews, except they believe in Messiah. They preach that there is but one God, and His Son Yeshua the Messiah. But they are very learned in the Hebrew language; for they, like the Jews, read the whole Law, then the Prophets...They differ from the Jews because they believe in Messiah, and from the Christians in that they are to this day bound to the Jewish rites, such as circumcision, the Sabbath, and other ceremonies. They have the Good news according to Matthew in its entirety in Hebrew. For it is clear that they still preserve this, in the Hebrew alphabet, as it was originally written”. Obviously, Epiphanius would forbid the Law, Prophets, and Writings (TaNaK), often referred to by Yahusha. The Sabbath observance (a day blessed at Creation) was observed by Yahusha, yet those who “walk” as He walked are heretics. This record hits on how doctrinally arrogant things had become very early, and why Christian doctrines are so different from the REAL first followers of Yahusha. After Irenaeus, a new flagrant error crept in called “Apostolic Succession” along with the idea that the “church” hierarchy could supersede any Commandment, and usurp the name Israel (Yisharal) for itself. “Let those who are not yet acquainted with them, please note how perverse their belief and doctrine are. First, they teach that we should obey the Law of Moses according to the letter - the Sabbath, and circumcision, and the legal precepts still being in force. Furthermore, to increase their error, they condemn and reject all the Church Fathers, and the whole Roman Church." We were still around in the 13th century. Indeed, we Natsarim still obey that “Old Law” (the Covenant, as it is written), and we still “reject all the church fathers, and the whole Roman church.” We are accused of being “Jewish”, but we are really made up of all the lost tribes in captivity among the nations, as the Prodigal Son found himself and returned to the Covenant, the Father’s household (Torah). 2. We obey the Commandments of Yahuah. For this, we are branded as perverse heretics. 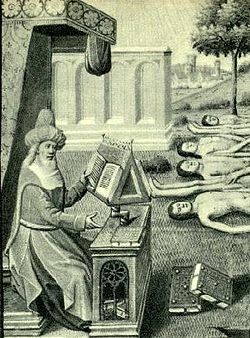 “For we have found this man a pestilent fellow, and a mover of sedition among all the Yahudim throughout the world and a ringleader of the sect (G139, hairesis) of the Nazarenes (G3480) . . .” The Greek word hairesis above gives us our word “heresy” translated “sect”. So we know the “sect” being spoken of was not the Christians, because Christians developed later. Seminaries (seed-plots) would not appreciate having this shouted from the housetops, but it’s the truth. The word “watchmen” is the Hebrew word NATSARIM, and means guardians, protectors, preservers, and also means “branches” as in “descendants.” Immediately, we see the connection with Yahusha’s words about Him being the Root, and His students the “branches” the off-spring of His teachings. The name by which we are called has no Greek roots; the Hebrew roots of our name are profound. We guard Yahuah’s Name and His Word, the Covenant with Israel. "GOD (god); Common Teutonic word for personal object of religious worship, formerly applicable to super-human beings of heathen myth; on conversion of Teutonic races to Christianity, term was applied to Supreme Being." 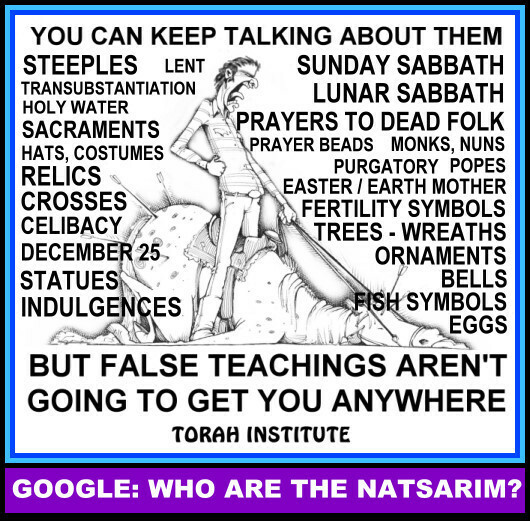 Natsarim do not refer to Yahuah by any Pagan titles or names, they use His true Name, being careful to guard it and not allow it to be destroyed (not using it destroys it). Torah is a relationship, not a religion. This relationship is the code of conduct for the government or kingdom of Yahuah, to reign with His bride, Israel. Human religion seeks to “re-bind” the rift between our Creator and mankind with contrived efforts and rituals invented by men, often inherited from Pagan cultures (not ordained by Yahuah). Torah is the foundation for the relationship, and the Creator consistently refers to Torah as a marriage Covenant between Himself and Israel. 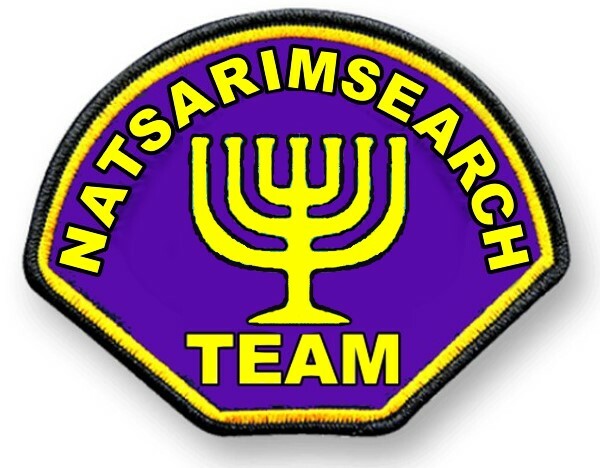 Our commission as Natsarim is to teach Torah to the nations, thus increasing Israel. The dragon hates this idea, the Covenant, and the Natsarim. The Covenant is between Yahuah and His bride (Israel); it’s a marriage. The dragon was never fond of Israel, and this sentiment was present in the church fathers and those doctrinal descendants of them. When false teachers say, “Gentiles don’t have to obey, the Torah is for the Jews”, they have been influenced by false teachings keeping them imprisoned in a stronghold (a mental fortress of false belief, stemming from Replacement Theology, a foundational error of Christianity). A sophisticated religious architecture exists, designed to promote a culture of rebellion. (The Art Of War) – implemented by Jesuitism. *His Natsarim, those following Him, the Mediator of the Covenant. Any who obey Torah become citizens of Israel, Yahuah’s Covenant people. WHAT INSTITUTION ARE WE TO “COME OUT” FROM IF NOT THIS MOTHER, SPAWNED BY THE CHURCH FATHERS? The Covenant is a marriage between Yahuah and Israel, His bride; and Natsarim Yisharal (Nazarene Israel) represents the first-fruits of a great harvest. Israel is the only "denomination", and the Natsarim are an elect group within Israel, as they are called by Yahusha as workers in His harvest of mankind. 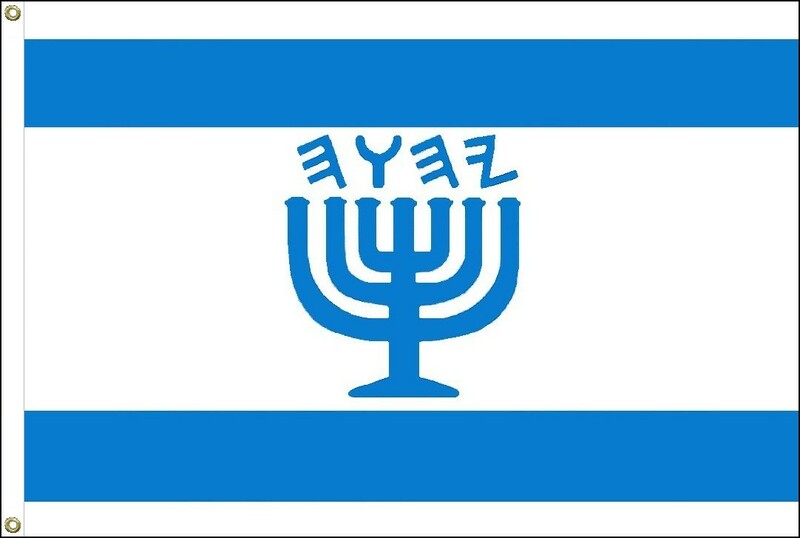 The Name of the Creator and the symbol of His Torah are on the banner below, a prophesied reality taking place in the Earth Ps. 20:5, 60:4, Jer. 51:12. Yahusha removed His menorah (lampstand) from the 1st assembly in Ephesos, Rev. 2:5. It has been restored to Natsarim Yisharal today. The menorah is a symbol of the TORAH, and it also is the most widely known symbol for ISRAEL. The TORAH and ISRAEL are inseparable. These are the words of the Son of Yahuah, whose eyes are like blazing fire and whose feet are like burnished bronze. I know your deeds, your love and faith, your service and perseverance, and that you are now doing more than you did at first. Nevertheless, I have this against you: You tolerate that woman Izebel, who calls herself a prophetess. By her teaching she misleads my servants into sexual immorality and the eating of food sacrificed to idols. I have given her time (390 years?) to repent of her immorality, but she is unwilling. So I will cast her on a bed of suffering, and I will make those who commit adultery with her suffer intensely, unless they repent of her ways (read Ps. 80). I will strike her children dead. Then all the assemblies will know that I am he who searches hearts and minds, and I will repay each of you according to your deeds. Now I say to the rest of you in Thyatira, to you who do not hold to her teaching and have not learned Satan's so-called deep secrets (I will not impose any other burden on you). (Satan’s Deep secrets like womb-wreaths, phallus-trees, and the ornaments of the Asherim). Only hold on to what you have until I come. The witch Jezebel is identified as having ways which are considered "adultrous" because they are idolatrous. "Come out of her my people" (Rev 18:4) is the command to come out of Jezebel, the modern Christian assemblies which adhere to the "ways" of Jezebel, by way of the Roman Beast, Rome. Christianity is Jezebel, the mother who sits as a queen. 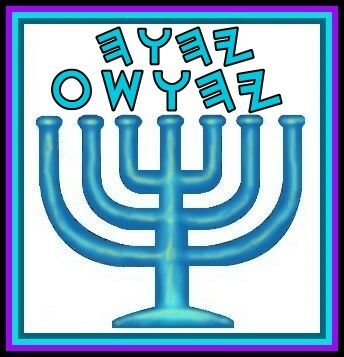 The Creator designed the menorah; it is not of this Earth. The design was shown to Mosheh. The 10 Declarations of Yahuah are to be taught to all the nations through the priesthood of Israel. Read YirmeYahu (Jer.) 31 carefully. Why would an Israelite need to change their religion (halakah, walk, way) to accept their own Messiah? REV 13:18: "Here is the wisdom! He who has understanding, let him calculate the number (NUMERAL) of the beast, for it is the number of a man, and his number is 666." With this identification, we can then look to what we find within this beast system (Rome), and see the woman sitting upon (controlling, restraining) it. That would be the Jesuit-Illuminati. 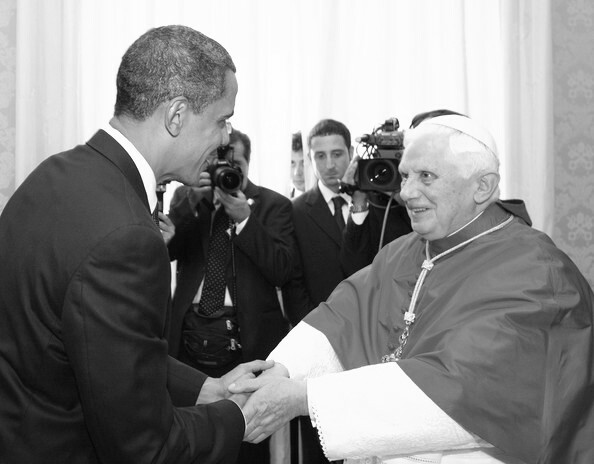 The Jesuits control the world systems through banking. The Illuminati is synonymous with this organization, and shatan (the eye at the top of the pyramid) is the entity within the society. The catechesis method is essentially teaching by means of an oral repetition process. It is mass-programming. Teaching is accomplished through oral instructions which are echoed by the students, so the imprinting of the doctrines takes hold very quickly. The instructor “calls” orally, and the group “echoes” the required response, resulting in a very strong “programming” or imprinting of the thoughts of the whole group. Drills in the military services, as well as some responsorial chant in worship liturgies continue to reflect this method for instructing large groups. Thus, the “communion” or group is programmed together, and this process forms an emotional bond of cohesion and unity. All believe the same things, behave the same way, and outsiders are quickly identified because of their lack programming. Xenophobia, class envy, and anti-Semitism are logical outcomes from such a programming/teaching method. 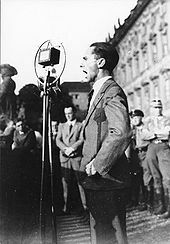 Joseph Goebbels, the Nazi propaganda minister, was a Jesuit operative. 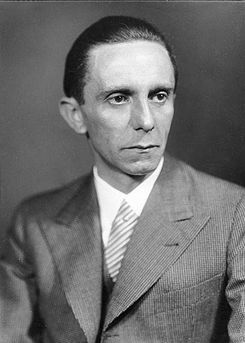 He was the chief architect of the Kristallnacht attack on the German Yahudim (Jews), which historians consider to be the commencement of the Nazi violence culminating in the Holocaust. The truth is a threat to those who “program” the masses. “He openly acknowledged that he was exploiting the lowest instincts of the German people – racism, xenophobia, class envy, and insecurity. He could, he said, play the popular will like a piano, leading the masses wherever he wanted them to go. "He drove his listeners into ecstasy, making them stand up, sing songs, raise their arms, repeat oaths – and he did it, not through the passionate inspiration of the moment, but as the result of sober psychological calculation." Psychological behavior was studied by Ivan Petrovich Pavlov using dogs, and physiological responses could be controlled and predicted using oral commands and other audio stimulation. Catechesis is therefore a very powerful tool, and people should be alert to it being used on them, or against them. We should point out the fact that the process itself (Catechesis) is quite effective, and could be used for either good or bad. Deu 6:4-9: “Hear, O Yisharal: Yahuah our Alahim, Yahuah is one! These Latin words meaning "by writing alone" were Luther's response to all the nonsense he perceived in the teachings and practices added by the circus (church). His 95 theses (researched statements) were posted on a circus door on Halloween in 1517 which launched the Reformation. What are a few examples validating how Sola Scriptura guide the practices expressed in Christianity? The Natsarim thesis is: We need restoration, not reformation. Is this idea heretical, and if so, why?